Stuart Burrows is considered one of the World’s Great Lyric Tenors. Born in Wales, his career has taken him to all the major Opera Houses of the world singing all the leading tenor roles. He has appeared at the Metropolitan Opera, New York on twelve consecutive seasons – a record for any British singer! He also has the distinction of being invited by the Met on four occasions to join them on tour of the USA. He has appeared in concert and recital with Solti, Barenboim, Mehta, Ozawa, Bernstein and Ormandy at Carnegie Hall, the Brahmsaal in Vienna (considered to be the foremost venue for recitals in Europe) at the Tanglewood Festival, Boston Symphony Festival and Salzburg Summer Festivals. 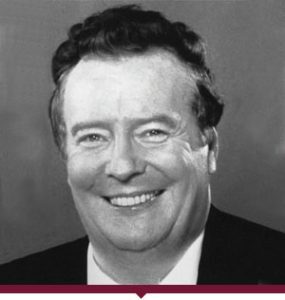 In 1981 he was awarded an Hon. Doctorate of Music from the University of Wales, in 1989 a Fellowship from Trinity College, Carmarthen and in 1991 and 1993 Fellowships from the Welsh College of Music and Drama, and University College of Wales. He has adjudicated at some of the leading International Vocal Competitions including the Mozarteum in Salzburg, the Queen Elizabeth of the Belgians and Cardiff Singer of the World.